The world has been suffering of late from Angry Bird mania. 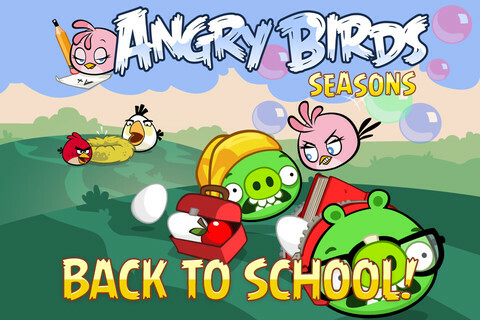 These revengeful little birdies aren’t happy, as the games’ titles imply. It is perhaps another sad reflection on human nature that we can take pleasure in the difficulties of our feathered friends. The truth of this matter is lost on the millions who enjoy giving misbehaving hogs the what for. As we go ‘to press’, even other worlds are soon to be victimized by these avian misadventures. Look for the Angry Birds Star Wars app to be coming soon to an iPhone near you in early November. Angry Birds -Sadly, little birdies are still awfully cute, even when mad. That must make it hard for them to be taken seriously. Even by their enemies, in this case, the greedy pigs. Still one can’t really blame the birds for being angry, their eggs having been violated by those terrible farm animals, the pigs. One might never have suspected that such cute little green piggies could do such a thing. I guess they only did it because they were possessed of a pig’s appetite. The graphics are really nice and colorfully whimsical. 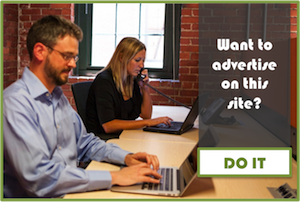 It is available in numerous languages and has been playing to rave reviews on iPhone screens the world over. 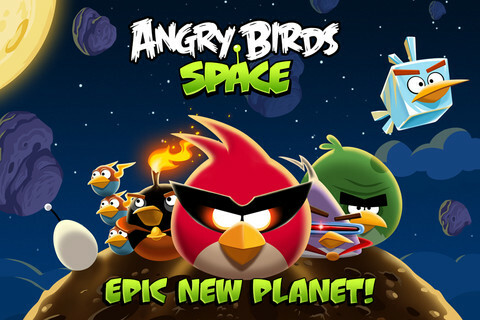 Angry Birds Space takes the bird play into the void betwixt celestial bodies and to the planet Mars. When a sinister giant claw absconds with their precious eggs the birds give chase in pursuit of their progeny. It seems hard for those poor harried birds to catch a break, as if terrestrial pigs aren’t bad enough. Now our feathered protagonists must deal with malevolent space pigs. Challenging game play is virtually assured with 130 interstellar levels. 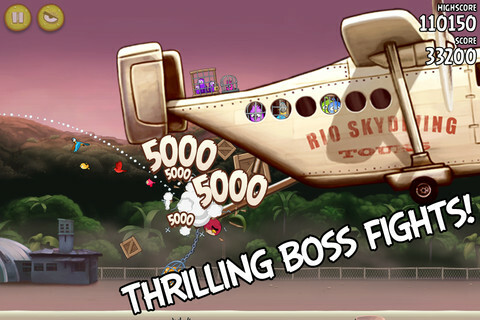 Those that are prodigious to the extreme can expand the epic battles of bird and swine with in app purchases. Add the Danger Zone if you dare. 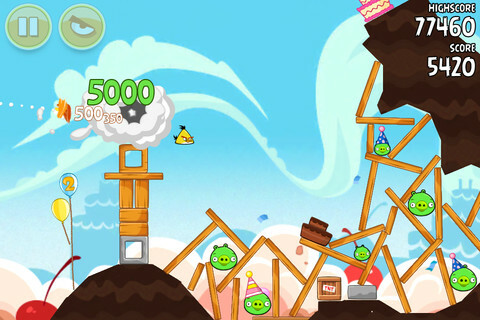 Angry Birds Rio offers 6 episodes that have 180 levels of play. Plus if you are bird enough there are 12 other levels as a bonus feature. There are worst places to be taken when kidnapped other than Rio. So our feathered friends may find that fact somehow compensating. Accomplish new achievements, like knocking over troublemaking marmosets or engaging in boss fights to free fellow birds, to savor the special hidden fruits. You won’t have to worry about transcending this game’s playability as updates are in the works. With this tie to the Rio film the Angry Birds have officially gone Hollywood. 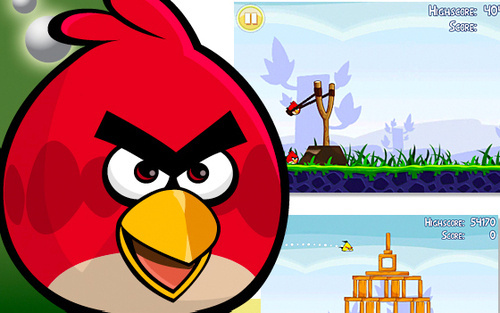 Angry Birds Seasons unlocks the deep seated fury of avian revenge. Year in and year out the birds don’t take any jive from egg napping pigs. The seasons may change but the one constant in the ever flowing river of time is the anger of the feathered stars of the world’s favorite mobile game app. If you need any reinforcements the Mighty Eagle is an in app purchase option. The game captures perfectly the angst of birds brought to the brink by cute but deadly pigs. The world is far too small to accommodate green pigs and the birds’ procreation plans.